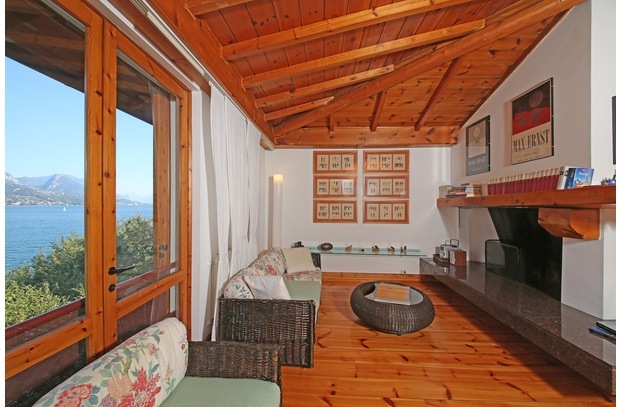 Villa Da Vinci is a lovely lakefront villa set on a private estate - 5 acres of park and olive groves! 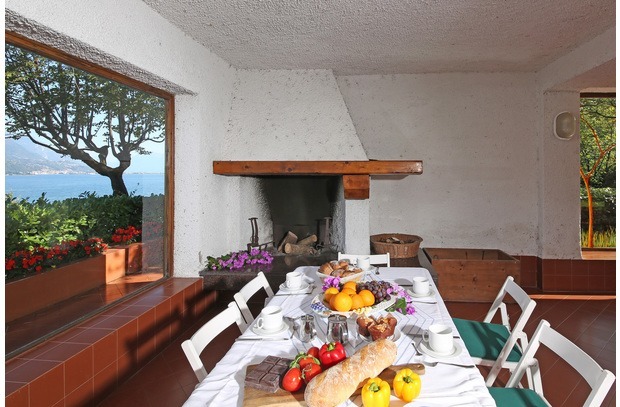 The villa is just 300m along the beach from the small port of Portese where you’ll find two great restaurants and pizzeria together with bar and ice-cream shop. Another 5 minutes walk up the hill brings you to the centre of the small village of Portese. Here is another great family friendly restaurant and there are a few small shops including a deli and butchers, not to mention a few small cafes. 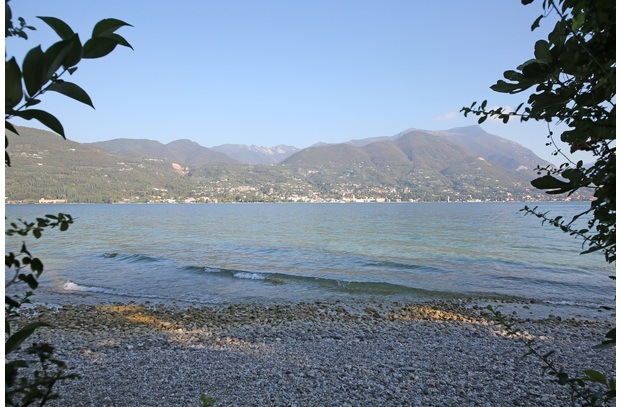 A 15 minute walk brings you in to the slightly larger village of San Felice del Benaco and just 3km away is the wonderful town of Salò - you can take a stroll (around 40 minutes) or jump on the ferry from the port! 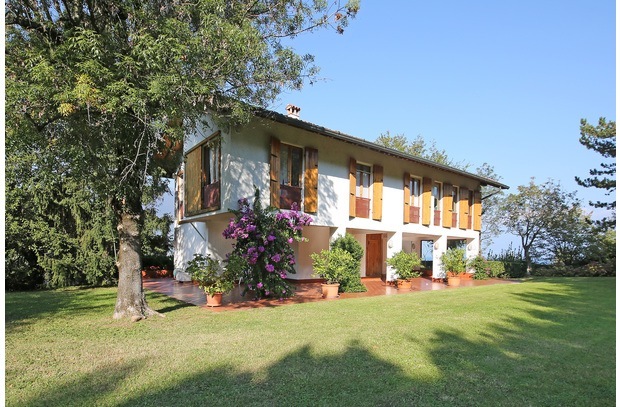 Villa Da Vinci perches on a hill with its lawns and gardens stretching right down to the waterfront. There’s its own private gate that opens on to the beach! 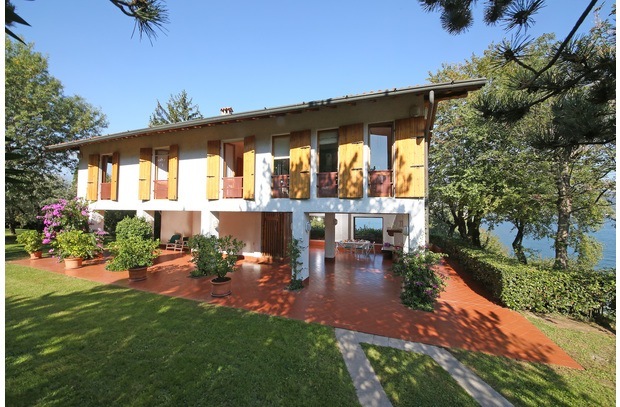 There are breathtaking views of the lake from every angle and the house has great full length windows making the entire villa bright and airy. 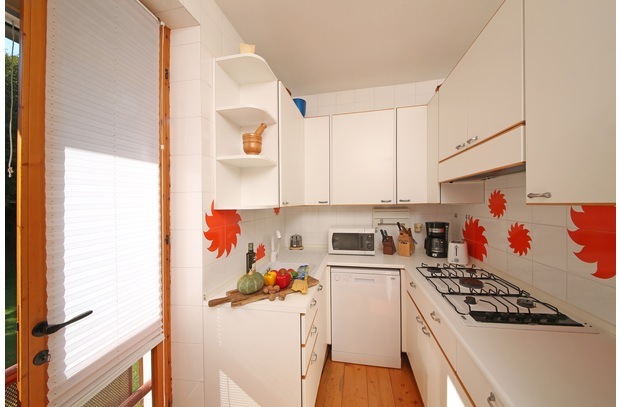 The comfortable living area has great Lake views and there is a small yet fully equipped kitchen. 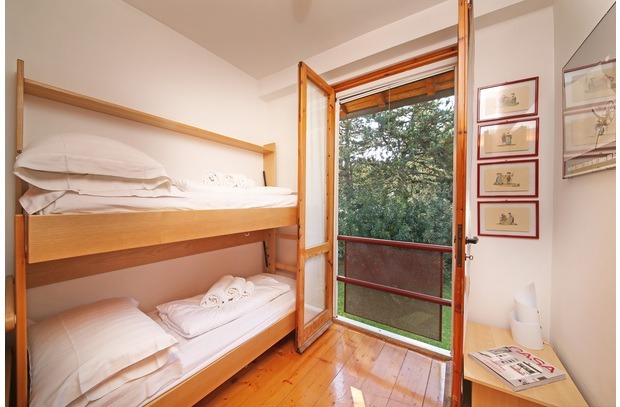 The villa sleeps 10 people in 4 bedrooms; 2 double rooms, 1 twin room (bunk beds) and 1 quadruple room with two bunk beds. 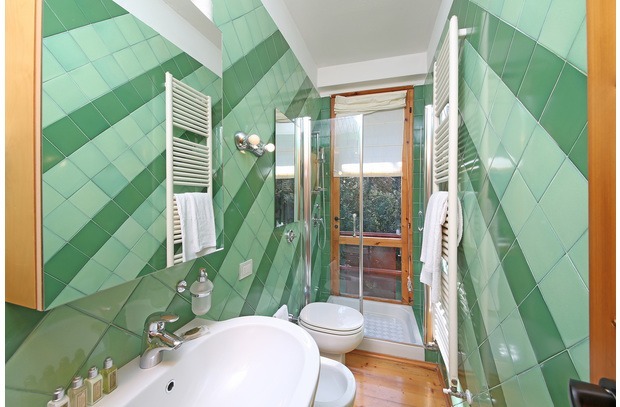 There are 3 bathrooms, 2 of which have showers while the 3rd is small toilet only and is ensuite to the twin room. 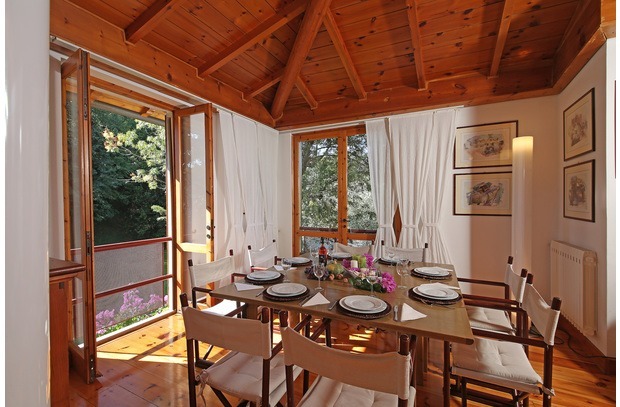 Outside, the villa has spacious outdoor living spaces and which are fully furnished with an open fireplace, barbecue and dining area. The private pool is complete with sunloungers and is surrounded by olive trees (great for shade!) and beautiful flowers and shrubs that bloom throughout the season. 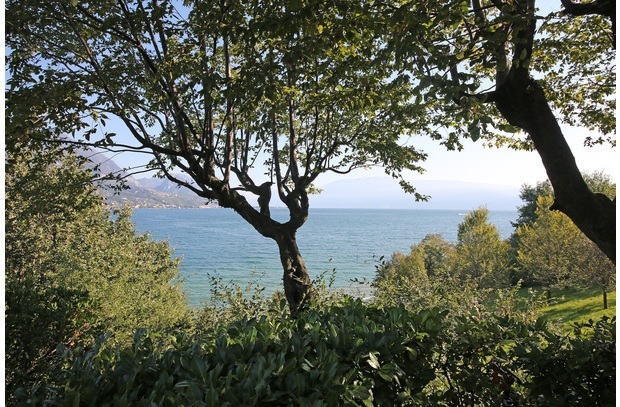 Villa Da Vinci is on top of the hill with the garden built on terraced levels on the hillside - follow the garden steps (or ramped path) to the lower garden terrace where you’ll meet the lake! 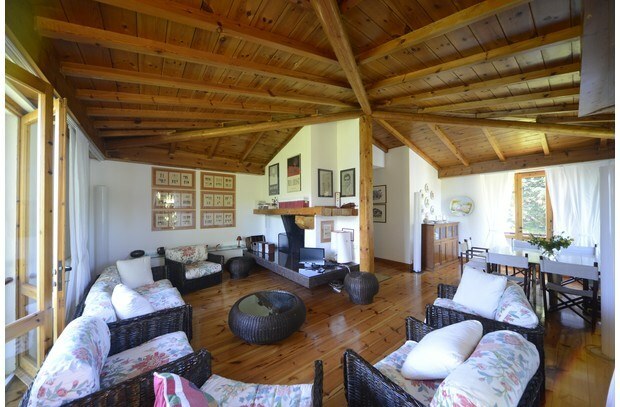 The villa has a media area with TV/DVD and SKY Satellite and WIFI is included. 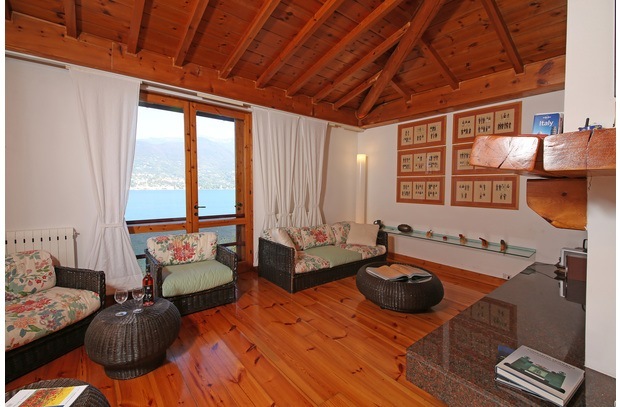 Conveniently located, the villa is close to services and it is easy to visit other towns on the ferry from the port of Portese. We do recommend a car here however to help you make the most of this beautiful area. There is parking on site for up to 4 cars. Absolutely love this location. 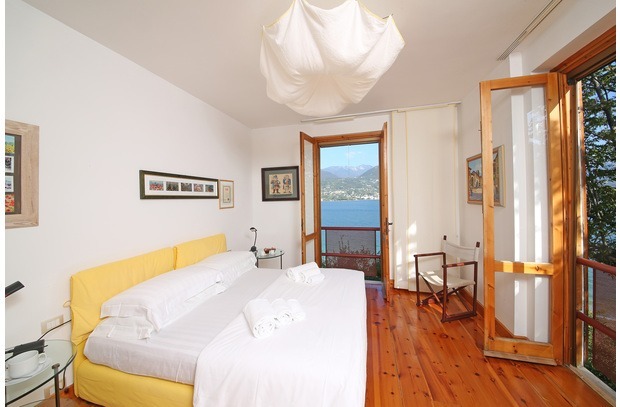 It's right by the beach, right by the port (perfect for catching the ferry!) and there are a couple of great restaurants right round the corner! 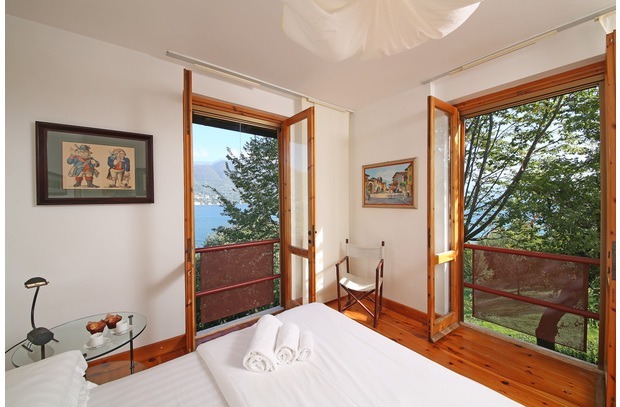 And the views are amazing too!